US pulp, paper, and forest products firms turned in another strong performance in the third quarter of 2018, building on a record-breaking second quarter and setting the industry on pace for one of the best years it’s seen for at least a generation. With the strong US economy boosting demand for packaged goods and China’s steadfast resolve to shun tainted recovered paper imports elevating the price of virgin fiber, pulp and packaging sector firms did particularly well. 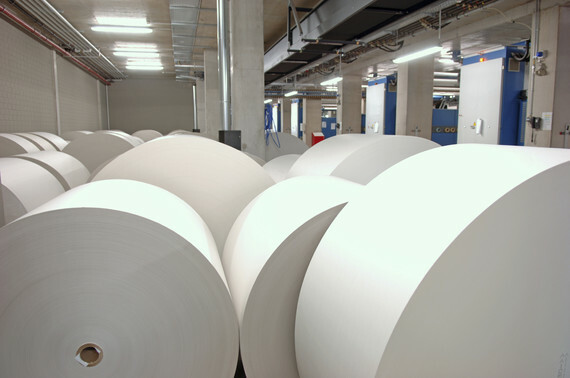 But graphic papermakers, too, posted strong results in the quarter. Supply reductions from machine conversions and capacity cuts combined with lower than anticipated demand erosion – enabling producers to undo years of declining prices and boost earnings. Yet it was not all good news. Executives on earnings calls referenced operational headwinds from rising input costs for transportation, chemicals, and market pulp, with tissue players, in particular, noting the impact of escalating pulp and freight costs. There were literal headwinds, too, in some cases, with hurricanes Florence and Matthew temporarily closing operations and damaging a number of facilities in Florida and North Carolina. Nevertheless, the industry as a whole overcame these performance drags and turned its sixth consecutive quarter of out-performance in comparison with its five-year averages. Combined third-quarter sales of $22.528 billion for the group of publicly-traded US companies whose quarterly results are tracked in PPI Pulp & Paper Week’s sales and earnings table were 5.2% higher than group sales of $21.398 billion in the third quarter of 2017. Noteworthy too is that the annual comparison was against a strong year-ago quarter that saw big improvements in all three of the major metrics for the industry’s financial health – sales, earnings, and margins. Among the 17 firms in the group, only Kimberly-Clark’s (K-C) third-quarter revenues were below year-ago levels due to a dip in sales for its consumer tissue group. But that dip was still nowhere near enough to dislodge K-C from its perch as No. 4 in the USA by revenues with sales in the quarter of $1.469 billion. Earnings soar. Earnings didn’t disappoint either. Every one of the companies in the group ended the quarter in the black with the exception of Glatfelter, which reported a $200,000 loss excluding items – a de minimus loss that wasn’t enough to move the needle on P&PW’s table. As a result, the group’s combined third-quarter earnings hit $2.012 billion excluding special items ‒ a 22.1% increase over overall industry earnings of $1.647 billion in the third quarter of 2017 ‒ and broke two billion dollars in a quarter for only the second time in the 75 quarters P&PW has analyzed industry financial results. Overall earnings were also just $10 million or 0.4% shy of the all-time record of $2.026 billion set in the third quarter of 2015. The 2015 quarter also holds the industry record for profit margins, expressed as over-all earnings excluding special items as a percentage of sales, with a margin of 8.9%. Record margin tie. This year’s third quarter matched that 8.9% margin and comfortably exceeded its five-year average of 7.8%. The industry’s average margin was far outstripped by individual companies. The largest in the USA by revenues, International Paper (IP), reported an adjusted EBITDA margin of 20% across its three business segments and a 24% margin for industrial packaging on the back of a “strong secular growth trend.” It also had the lowest cost of goods sold (COGS), at 65.9% of revenues.IP’s net sales were $5.9 billion in the third quarter of 2018 compared with $5.8 billion in the second quarter of 2018 and $5.5 billion in the third quarter of 2017. Adjusted operating earnings in the third quarter of 2018 were $641 million ($1.56/share) compared with $498 million ($1.19/share) in the second quarter of 2018, and $420 million ($1.01/share) in the third quarter of 2017. Vertical Research Partners analyst Chip Dillon noted that the quarter was IP’s most profitable ever, beating its previous best all-time quarter of $1.27/share in the third quarter of 1995 “when IP was a much-more cyclical company in highly-fragmented paper/forest products businesses.” Packaging strength. The No. 2 and No. 3 firms by revenues respectively, WestRock and Packaging Corp of America, also reported EBITDA margins in the mid- 20% range for their packaging operations. WestRock CEO Steve Voorhees said the firm delivered “strong financial and operating results” and its North American Corrugated Packaging business had “an especially outstanding year.” WestRock earned $1.29/share of adjusted earnings on sales of $4.237 billion, a 48% increase compared to its $0.87/share of adjusted earnings in the prior-year quarter. Corrugated Packaging Segment EBITDA increased by $162 million, or 42%, compared to the prior year quarter. But KeyBanc Capital Markets analyst Adam Josephson said WestRock fell short of its EBITDA guidance for the quarter, and added that “recent significant containerboard price declines in China, the onset of price erosion in Europe, and the onset of US containerboard export price declines” reinforced concerns about being at the peak of the economic and containerboard cycle.PCA earned $211 million, or $2.23/share excluding special items on sales of $1.8 billion, compared to $159 million or $1.68/share on sales of $1.6 billion in the year-ago quarter. Total company EBITDA for the third quarter, excluding special items, was $406 million in 2018 and $364 million in 2017.P/W papers upside. Josephson noted that the PCA beat analysts’ expectations yet again, and notwithstanding concerns about the sustainability of current containerboard industry conditions he increased his full-year 2018 estimate of earnings per share from $7.93 to $8.04 “to reflect better-than-expected results” in PCA’s uncoated freesheet business (see related container-board story, p. 1). US uncoated freesheet market leader Domtar also beat expectations, generating earnings before items of $92 million ($1.46/share) on sales of $1.367 billion ‒ its best quarter in seven years and 41.5% higher than earnings of $65 million ($1.03/share) before items for the third quarter of 2017. “Our strong performance was driven by accelerating price realizations and margin expansion, particularly, within our pulp and paper businesses. Our operations also ran exceptionally well, despite some weather-related outages, with productivity gains across the mill system,” Domtar CEO John Williams said. Mainly because of Domtar’s third-quarter’s upside surprise, Vertical Partners analyst Dillon raised his 2018 earnings estimate by 20 cents to $4.30/share. He upgraded Domtar from a hold to a buy rating “given the attractive magnitude of this upside” saying he now sees a potential one-year return of 22% based on his unchanged $54 target and including the $1.66 annual dividend. Improved pricing and mix for printing and writing grades also benefited the No. 1 US coated papermaker by capacity, Verso. The firm’s third quarter adjusted EBITDA spiked 129.7% to $108 million on a sales increase of 13% or $83 million to $704 million. PPI PULP & PAPER WEEK/November 16, 2018© 2018 RISI, Inc. All rights reserved14ON, pulp and woodlands operations will vote Nov. 20 on a new collective bargaining package. A union official said the new contract achieves the pattern for eastern Canada it agreed with Resolute Forest Products in May. Ofﬁce Depot reported $1.4 billion in its B2B business solutions div sales in the third quarter, up 6% compared to third-quarter 2017. The company’s retail div sales of $1.3 billion were down 6%. Business solutions increased sales because of “the impact of acquisitions and e-commerce growth,” the company said. Without acquisitions, sales were up 1% for the unit. The business solutions operating income was $67 million, down from $71 million in third-quarter 2017. Retail Division operating income was $70 million, down from $82 million. The company in the quarter closed two stores and ended the quarter with 1,372 stores… Supremex revenue increased 4% in the quarter to C$45.2 million and its adjusted EBITDA was C$5 million. Revenue from packaging and specialty products now accounts for 28.7% of sales, up from 21.6% in third-quarter 2017. Supremex is reforming to become 50% envelope and 50% packaging, according to revenue. Canada Post Transactional Mail volumes were down 5.9% during their second quarter, Supremex reported. Supremex revenue from folding carton, corrugated, and e-commerce packaging was $13.0 million, up 37.7% from the acquisition of G2 Printing and Pharmalex in April.,, Mesirow Financial acted as the exclusive financial advisor to corrugated converter Mid-Atlantic Packaging on its recent sale to Royal Box Group, a division of Schwarz Partners. Andy Pierson, president of Mid-Atlantic, commented on the transaction, “As a closely held, family-owned business, Mid-Atlantic values its employees and customers. Mesirow Financial’s expertise and relationships within the industry were vital in pairing Mid-Atlantic with a partner that shares our culture and commitment to furthering growth and innovation in the market.” Mesirow Financial is one of the most active advisors in the paper, plastics, packaging and specialty printing sectors, having completed over 125 transactions in recent years.Supplier newsIngevity announced a general 7-15% price increase for all tall oil fatty acid, tall oil rosin, rosin derivatives, distilled tall oil, and lignin dispersant products. The increase will be effective Jan. 1, or as contracts allow, and is due to continued inflationary pressures, the company said.